To help preserve and protect our parks for future generations, HanesBrands has partnered with the National Park Foundation, the official charity of Americas national parks, to support Americas most treasured places. From the mountains to the sea, the Santa Monica Mountains Outdoors National Recreation Center is natures playground for hiking, trail running, mountain biking and surfer enthusiasts. Find Your Park in Santa Monica Mountains Outdoors National Recreation Area located in Santa Monica, California. 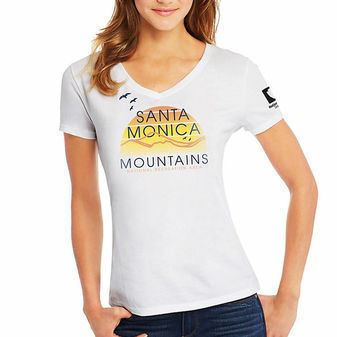 Through the National Parks graphic tee collection, Hanes is proud to support the mission of the National Park Foundation. Made with premium ring-spun cotton for exceptional softness. Contemporary styling with slimmer fit. Hemmed sleeves and bottom. Shoulder-to-shoulder tape for durability. FIND YOUR PARK and experience places you have never seen before.